Welcome to streamlined product lifecycle management. Stay organized and save time working within a system designed to expedite merchandising processes. From adding new product lines to final clearance markdowns, Broadleaf enables teams to create product options, groups, and bundles. So - once Spring has sprung, you're prepared to discount your pastels and upload your new line of summer wears in just a matter of clicks. At the intersection of marketing and merchandising. Enable team members to upload media assets to a searchable, centralized asset folder. Easily add and change product images from within the Broadleaf admin. Create Offers, Price Modifiers, and Targeted Content using dynamic, reusable, non-customer-facing Product Groups. 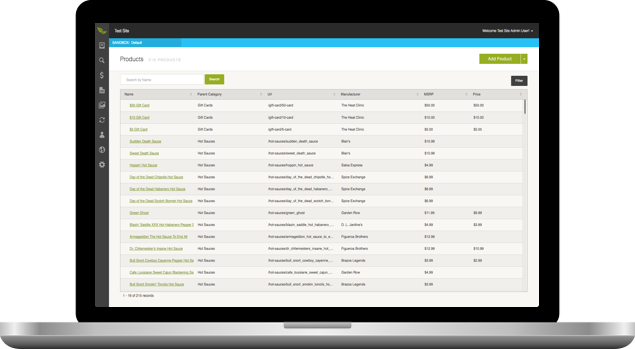 Use the Broadleaf admin to create, upsell, and cross-sell promotions, as well as bundled discounts. Deploy an offer across an entire product group? No problem.